Tax certificates in South Africa. 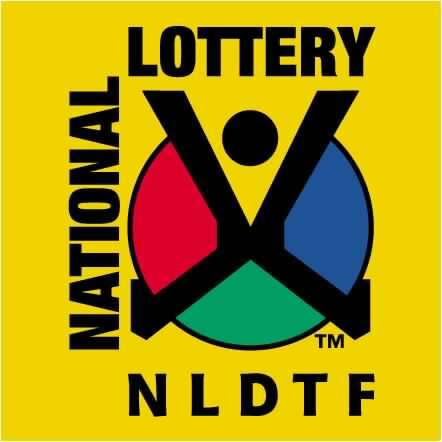 We are registered as Public Benefit Organisation (9300 5201) with SARS, we are able to issue Section 18A tax certificates to you for your donations. To request a tax certificate, please send us and email at manager@ladybrandhospice.co.za with the date and amount of your donation, as well as your full name, address and telephone number. Hospice House, 2 Joubert Street, Ladybrand. A great deal of emphasis is moving towards skills development and our Hospice is not as uniquely placed as other organisations to fall into this criterion. We do however have a strong foundation upon which to implement various ideas to get us in line with skills development criteria. We already work with the youth in our OVC programme. If we can enhance the knowledge base and skill set of the older children in our care we would be making a big difference in the leaders of tomorrow. We also have our own property that could be developed to have a training/meeting room that could provide space for corporate meetings; or a computer training centre for the youth; or basic skills development site for other key skills (possibly Home Based Care training). If we focus on key components, like providing extracurricular English, Math & Science programmes over a 3year period, we would be strengthening our place in the survival of Hospices in South Africa. Our biggest need is Operational Costs, ie: day to day running costs, vehicle maintenance (or replacement), insurance fees and salaries. In order to get to the point where we can generate some income/funding from the services we add on, we need to have a capital basis that is strong enough to withstand some of the changes, ie: building costs, disruption to daily working patterns, upgrade of electricity (from 2phase to 3phase) etc. We basically need a foundation of R1.6 million per year to keep our doors open and operating as normal and providing continuous care to our patients and children but at the same time upgrade our facilities, get the training site up and running, liaise with training providers, train the trainers, advertise new services, put new policies in place for proper operating functions, have health & safety checks, register with appropriate bodies and so forth. There is some funding available out there if we get our training site up and running. Ladybrand Hospice has been providing holistic palliative Home Based Care to any person that has been diagnosed with a terminal illness as well as providing psycho-social support to their families for over 14 years. We will be celebrating our 15th Anniversary in May 2017. All our services are rendered free of charge. Ladybrand Hospice opened its doors in May 2001 as a branch of Naledi Hospice in Bloemfontein and became independent in May 2003. Ladybrand Hospice received full accreditation during February 2010 by the Council for Health Services Accreditation of Southern Africa (Cohsasa). As a member of the Hospice Palliative Care Association of South Africa (HPCA), Ladybrand Hospice was also awarded five-star status for excellence in governance, management and palliative care in accordance with the HPCA/Cohsasa Standards. In 2012 Ladybrand Hospice was again reviewed and accredited and maintained its five-star status. At present the Hospice is following the interim-assessment process through the HPCA to ascertain new status. The Ladybrand Hospice programme encompasses the Hospice concept by providing specialised care to terminally ill patients and to their families. Such care is provided at the patient’s home. The patients and their families are the primary unit of care with primary emphasis on symptom and pain control as well as on physical, emotional, spiritual and cultural needs. Hospice care is provided by a coordinated inter-disciplinary team, trained and skilled in terminal care. This team includes a Professional Nurse, Professional Social Worker and Home Based Care staff. Touching lives in our community. Ladybrand Hospice provides quality palliative care to all people in our community. We promote quality in life, dignity in death and support in bereavement. Ladybrand Hospice is managed on a day-to-day basis by the Operations Manager who is responsible for feedback to the Governing Board. The Operations Manager is assisted by a Funding Coordinator responsible for seeking and managing suitable funding for the organisation. The Nursing Manager Coordinates Patient Care activities while a Professional Social Worker Coordinates Psycho-social services. An Administration Manager is responsible for the general financial management and bookkeeping of the Hospice, oversees the practical day-to-day operating activities and is in charge of the kitchen, vehicles, Day Care Centre and office administration. A Governing Board consisting of 7 members of varying expertise provides valuable guidance and support towards the core dimensions of the organisation, including medical care, spiritual support, business management and fundraising. They are not remunerated for this service. The Operations Manager is responsible for the overall running of the Hospice programme, supported by a full time Administration manager. Programme delivery staff consists of a Nursing Manager who is responsible for the nursing services. She is assisted by 3 Home Based Carers. The team of trained HBC’s supplements the work of the nurse and Social Worker by providing basic health and emotional support to patients and their families. They mainly operate within walking distance of their homes and are already well known and trusted in their neighborhood. An important part of their work is also to help develop community awareness of HIV/AIDS and TB issues and they are increasingly the first point of contact for many patients. The Social Worker addresses the social needs of patients and families and is assisted by a Social Auxiliary Worker and an OVC coordinator. The Funding Coordinator is the full time fundraiser and is responsible for relations with government departments, corporate and other institutional donors. The Day Care Centre is overseen by the Admin Manager. 2 Classes are operated by two Teachers and 2 Teaching Assistants. Meals are prepared by a Cook who is also in charge of Housekeeping. The grounds are maintained by the Gardener/Handyman. our patients & their families with comprehensive palliative and chronic home based care. psychosocial care to patients, vulnerable children, orphans and foster parents. To maintain and improve effective monitoring and evaluation, reporting and information systems for provision of evidence-based palliative/chronic care. To strengthen and maintain the organisational capacity and sustainability through accountable systems, good practice and stakeholder participation/networking. To provide on-going training for all staff and volunteers to develop skills and build capacity. Ladybrand Hospice renders its services in the Ladybrand, Manyatseng, Mauersnek and Platberg areas. The Hospice reaches out to all patients in the terminal stages of illness e.g. cancer, AIDS and motor neuron disease, as well as chronically ill patients. These patients are mostly in need of support, referral, medical expertise and home care. The Hospice also serves the affected family members requiring support for the duration of the illness and bereavement care after the death of the patient for up to one year. Ladybrand is a small rural town in the eastern Free State and borders Lesotho (Maseru side). The town centre is situated just a few kilometres from Maseru Bridge, a commercial border post between Lesotho and the Free State. 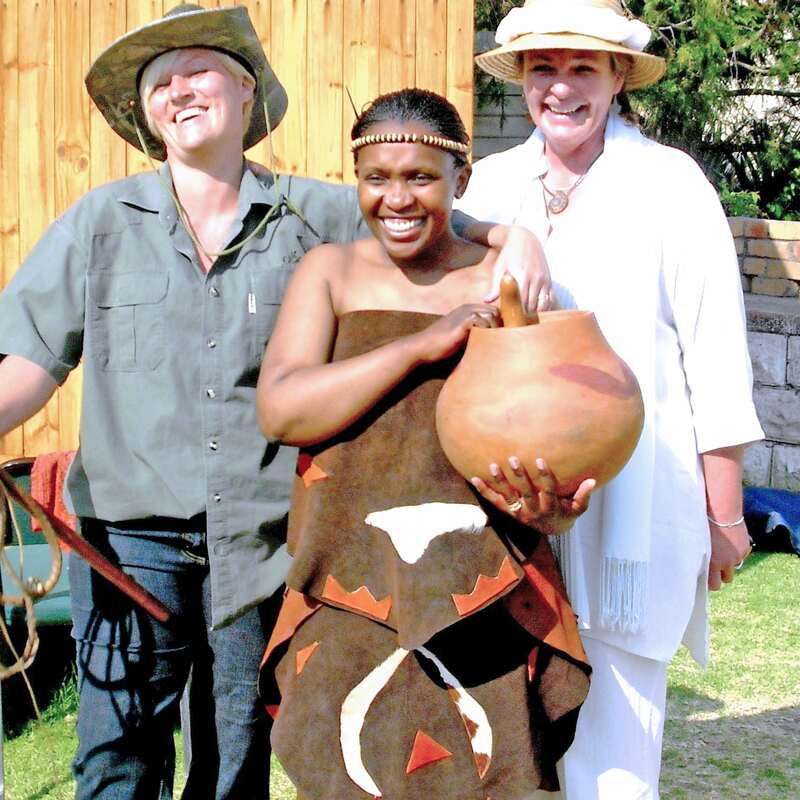 The local townships known as Manyatseng, Mauersnek and Platberg form part of the Ladybrand region. There is an influx of immigrants crossing the border to South Africa. This tendency adds to the high prevalence of unemployment and poverty in the community and a higher rate of HIV/Aids and TB infections. Ladybrand Hospice provides its services to all members of our community irrespective of their ability to pay. The professional nursing staff visits each patient in their home at least once a week to monitor their progress, check on medication, and advise the family on appropriate care at each stage of the illness. 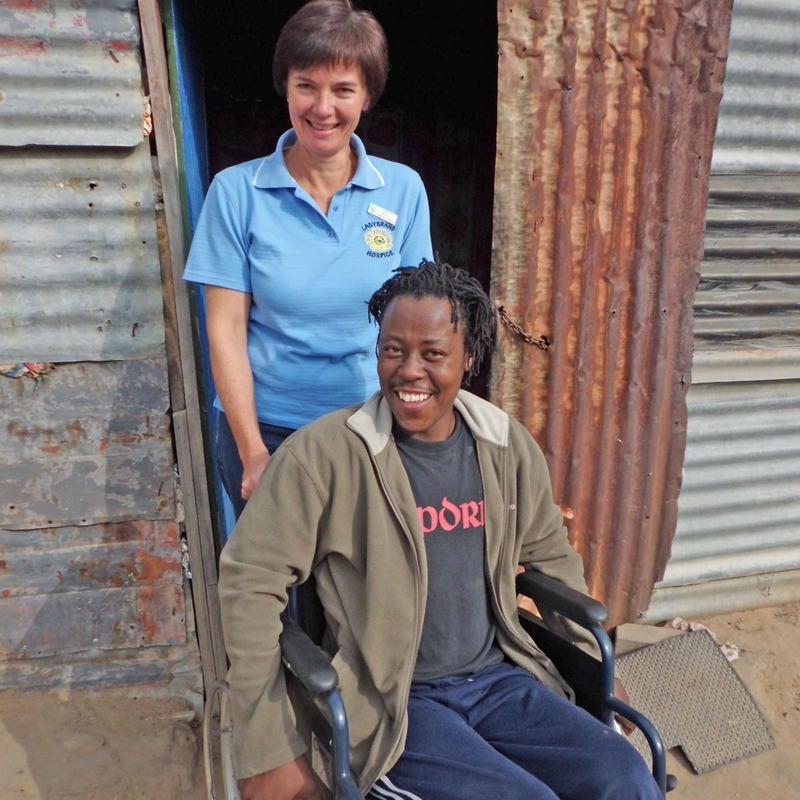 Patients are supplied with basic medical accessories and equipment – such as incontinence products, disinfectants, crutches or wheelchairs. Community care workers assist the family with basic patient care between the nurses’ visits and teach them skills such as turning the patient, giving bed baths and mouth care (especially important for AIDS sufferers). Both groups also give sustained emotional support to the patient and family during their visits. Hospice continues to build its network of community care-workers in order to offer sufficient home based care support to patients and their families. These care-workers are trained not only in basic health care, but also to offer emotional and practical support to patients and families. The care workers receive additional compulsory in- service training, professional nursing, supervision, counseling and support from social department personnel. This supervision allows them to develop their skills and provide a confident, efficient and complementary service to the community. Staff members also provide practical assistance such as help with accessing government grants and providing food parcels and clothing or emergency funds to indigent patients and their families. Our goal at the end of the project are to deliver even better quality Palliative Care services to patients, to strengthen our OVC programme by increasing numbers and reaching out to more children, by expanding our Day Care Centre to have two classes catering to ages 3-4 years and 4-6 years old. Our statistical indicators will show better access to patients, our numbers of children helped, will increase. We will also have more success stories from the community. Public access to information of financial records and registrations. Service audits by the Department of Social Development. Regular progress reports are submitted to Corporate/Major Donors with detailed budgets and financial statements. External audit by trained HPCA and COHSASA surveyors. Medical supervision of nursing/home based care staff by Professional Nurse. Ladybrand Hospice runs two main programs consisting of different service elements. One being our Home Care program and the other our Psychosocial Care Program. Approximately 156 terminally ill patients are cared for in their own homes by an inter-disciplinary team which provides specialised care with emphasis on symptom and pain control as well as psycho-social, spiritual and cultural needs. Appropriate referrals are made to Primary Health Care Clinics and hospitals as the needs arise. The psychological distress of family members is positively influenced when they experience that their loved ones are cared for during the terminal phase of illness. Approximately eighteen (18) of the 38 paediatric (children) patients meet every week on Wednesday afternoons at Hospice House. Often Nursing and Social Work staff find it challenging to reach these children due to school hours. This group improves contact and communication between Hospice staff and patients. The children are collected from school and public transport fees are provided to return home. This is an opportunity for the children with similar conditions to support one another and to learn from shared experiences. Life skills are addressed such as health education, coping skills, communication and socialisation. Other activities presented are things like playing games, Memory Work and Laughter Therapy. The children receive a nutritious cooked meal on arrival and a monthly hygiene pack to encourage their personal care. An afternoon English programme has just been added to this group in order to assess ability and strengthen these young adults to exceed in a key element of their education. Pending the success of the English programme, Maths and Science will be added in years 2 and 3. 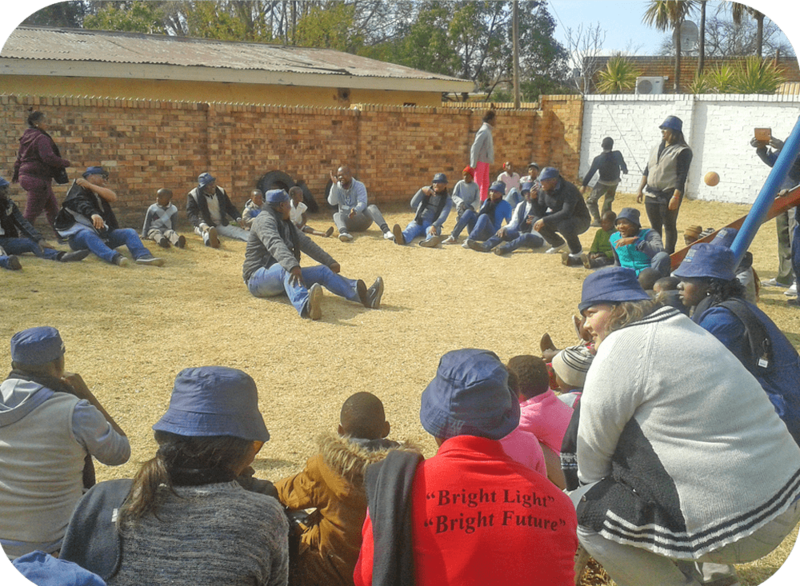 The Social Work Department focuses on providing psychosocial care and counselling to Patients, Orphans and Vulnerable Children (OVC’s) and Foster Parents. Approximately 180 OVC’s are on our database and at present 64 Foster Parents. Special emphasis is placed on orphans and vulnerable children programmes and services. Regular HIV/AIDS awareness talks and topics on Hospice services are presented to local schools, churches, businesses and other interested groups. The aim of the program is to support Foster Parents who are responsible for orphans and vulnerable children whose parents have passed away. It provides peer support and a program of instruction in various life skills such as child health and nutrition, budgeting and money management, access to government welfare grants as well as their responsibilities regarding children in their care. Quarterly Children’s Days are held during school holidays. 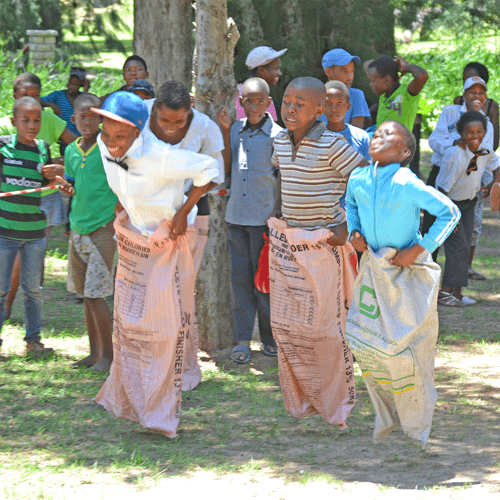 OVC’s attend a programme of recreational activities, cultural events and life-skills instruction. Group counselling is available within specific age groups as well as individual counselling. These occasions enable Hospice staff to monitor the health, welfare and development of children and, in turn, provide them with a forum in which to express their fears, hopes and aspirations. The children especially look forward to the yearly Christmas Party that is held and depending on funding and donations includes a Christmas gift or goody bag. Approximately nineteen (19) Orphans and Vulnerable Teenagers meet every Monday afternoon at Hospice House in a non-threatening environment. It is a closed group that runs in a three (3) month cycle. Orphans and Vulnerable Teenagers with similar life circumstances have the opportunity to support one another and learn from each other’s personal experiences. Group members are collected from the local townships and public transport fees are provided to return home. On arrival the teenagers receive a nutritious cooked meal and on a monthly basis hygiene packs are handed out to the teenagers which encourage personal care. The support group focuses on addressing HIV/AIDS myths, stigma and discrimination and to learn from one another through shared experiences. These children all have similar life situations and are currently facing the impending death of a loved one or have already lost one or both parents due to terminal illness. Other activities involve assistance with home-work and education on various life skill issues such as budgeting, self-esteem, coping skills and health education. Towards the end of the three (3) month cycle, members are prepared to exit the program and the way forward is discussed. An afternoon English programme has just been added to this group in order to assess ability and strengthen these young adults to exceed in a key element of their education. Pending the success of the English programme, Maths and Science will be added in years 2 and 3. 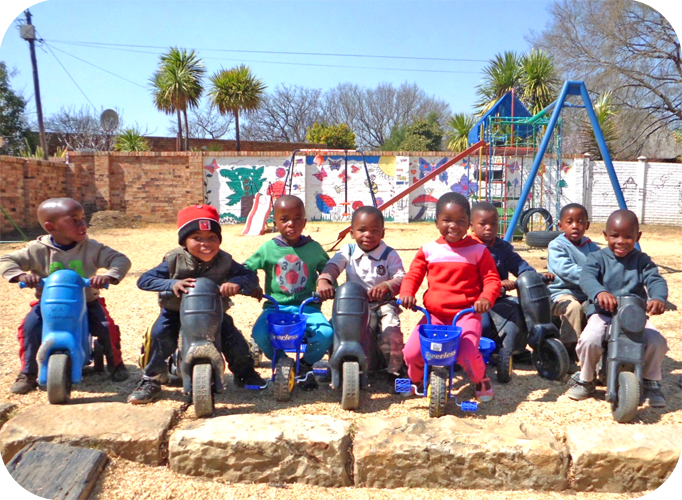 The Day Care Centre provides a pre-school educational program for forty five (45) orphaned and vulnerable toddlers between the ages of 3 and 6 who are affected or infected by a terminal illness. The children are transported to and from Hospice House four mornings per week. They receive two meals on the days that they attend the DCC. Their progress is carefully monitored by two teachers and two assistants, Nursing and Social work staff and appropriate interventions take place when necessary. Quarterly Parent/Guardian meetings take place whereby it provides peer support as well as instruction as to parent/guardians’ responsibilities regarding children in their care. 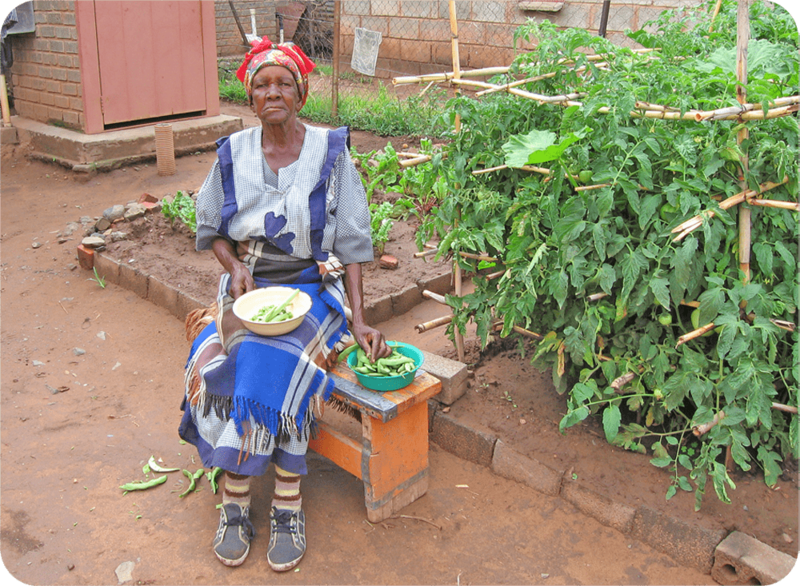 At present our Food Gardens project is on halt pending the appointment of a new Coordinator, after our current Gardener reached retirement after serving this program for 13 years. 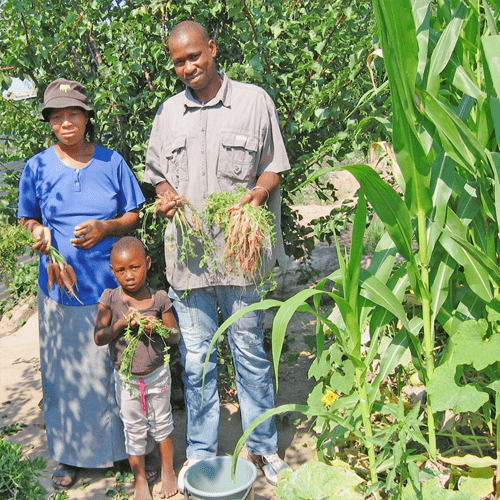 The Food Gardens Project focuses on training Foster Parents, patients that are physically able, and family members of beneficiaries on how to cultivate food gardens in the narrow strip of land between their houses. Foster Parents often have the responsibility to look after orphans and vulnerable children who are placed in their care after family members have passed on. This responsibility adds tremendous financial strain on the Foster Parents and by using the produce from food gardens it adds high nutritional value to their food supply. Instruction and encouragement is given by an experienced gardener and seeds and equipment are provided seasonally. 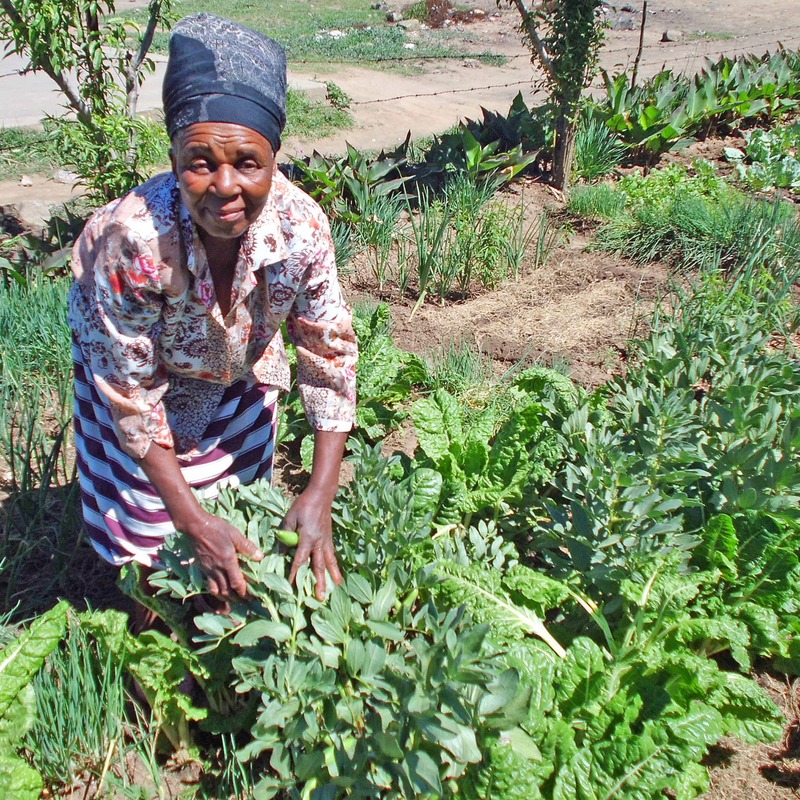 Progress is monitored on a monthly basis and participants are able to compete in an annual gardening competition with monetary prizes donated by various organisations. Currently there are about 43 food gardens in the project. It is not always easy to measure the impact of the services we provide. It is difficult to put into numbers what it means to someone when relief from pain and suffering is given. You also cannot convey on a spreadsheet, the smile on a child’s face after receiving a precious pair of shoes for Christmas. To be approached by a patient or family members who have received bad news is both a challenge and rewarding. To walk into someone’s private space when they are extremely vulnerable is a privilege. Initially we have one and a half hours to make or break the relationship in a nursing and psychosocial aspect. This philosophy of care, that is Palliative Care, takes us on a journey of ethical dilemmas, tears, anger and laughter. There are no magic wands or answers – simply a roller coaster path to walk beside those involved. To provide our patients and their families with comprehensive palliative and chronic home based care. Professional nursing staff drives to patient’s homes to do home visits. Community workers walk to visit patients and families in their homes. Weekly meetings with IDT enable report back and modification of each patient’s care plan. Improved quality of life and ensure death with dignity. Patients cared for in their home environment. Statistics of number of patients seen and home visits made. Assessment and monitoring of written documentation. Annual evaluation of ongoing service. HBC’s do home visits to provide emotional support. Social Work does home visits and counselling at Hospice. Social Work staff and HBC’s do supportive home visits. Assistance with welfare grant applications and foster care arrangements for OVC’s. Patient Care plan is coordinated at weekly MDT meetings. Patients and family no longer feel isolated by their disease. Social and emotional needs are met. 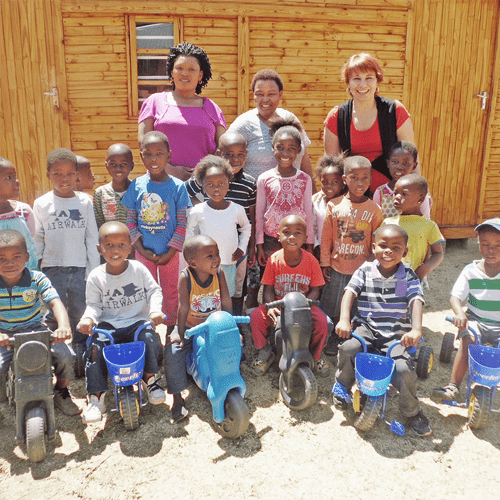 Patient involvement in foster arrangements for their children who will be orphaned. Community members are encouraged to take responsibility for accessing available grants, insurance and funeral policies. Prevention of occurrence of Child Headed Households. Inter-disciplinary team provides support and resource information in this area of need. Families are taught basic skills for home care. This allows them to gain some measure of independence and privacy because they are no longer totally dependent on others for help. Families are better able to deal with own social and emotional issues. Patients and families show noticeable reduction in their levels of distress. Social Work staff support bereaved families by continuing to visit after the death of the patient. 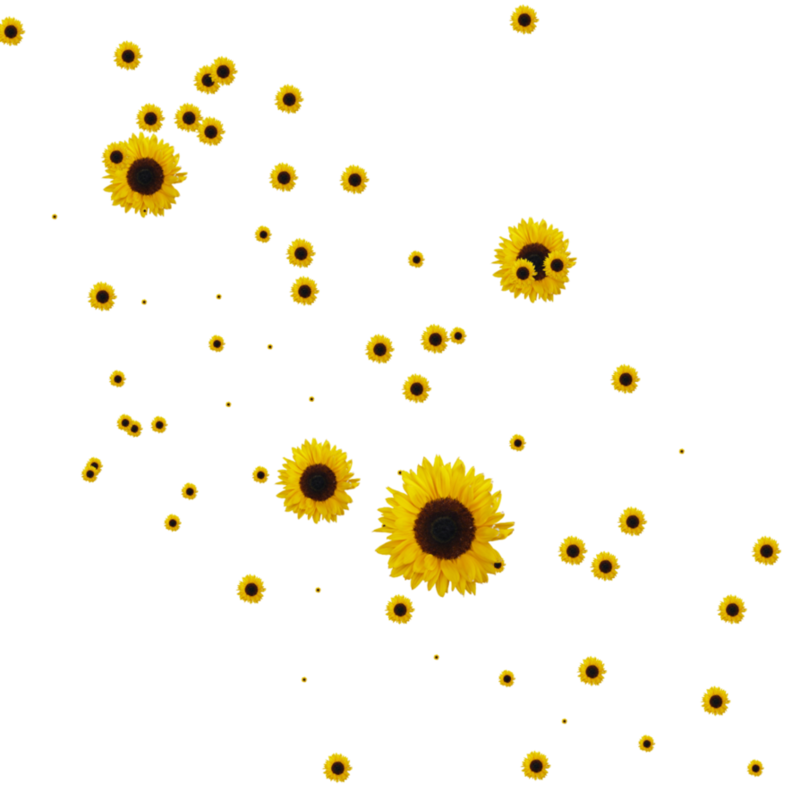 Individual bereavement therapy is made available to members of the community. The family is supported in their time of grief and assisted with their coping. Cases of complicated grief are identified and receive appropriate specialised attention. Detailed bereavement care case notes are kept for each patient. Provide food parcels to indigent patients. Provide clothing to indigent patients. 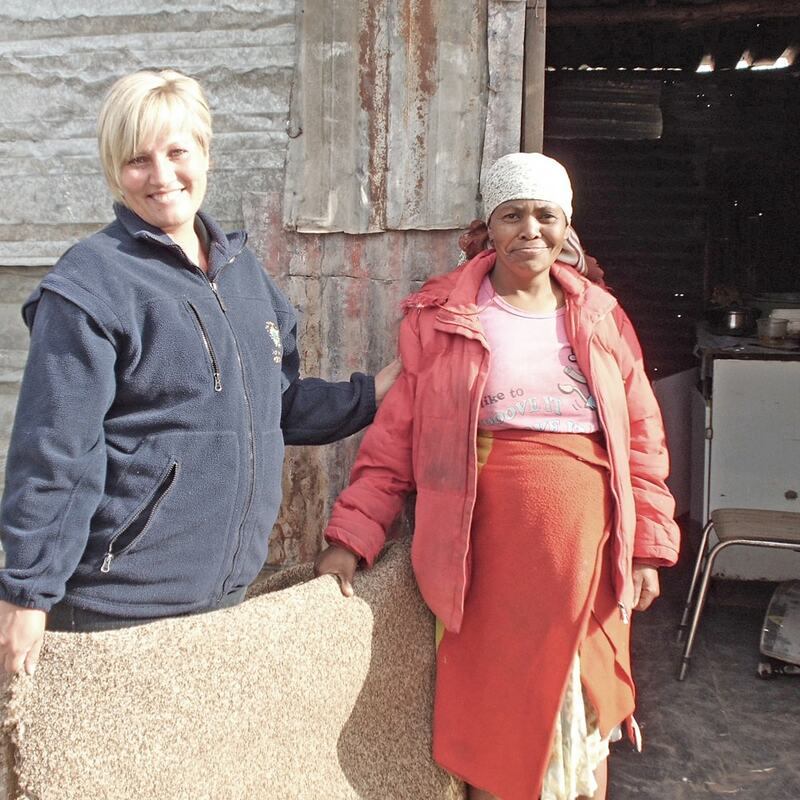 Patients experience some poverty relief. Improved quality of life and dignity for patient and family. Ongoing – availability of funds. Inter-disciplinary team assesses patient and family needs and Hospice supplies the appropriate equipment. Statistics reflect the number of patients making use of the service. Increased demand for medical equipment and accessories. To provide psychosocial care to patients, vulnerable children, orphans and foster parents. Weekly IDT meetings between nurse and social department assist in identifying psychosocial needs. Beneficiaries are taken care of either in their own homes or at LH during support groups. Paediatric patients meet every week at LH on a Wednesday. Children are collected from Manyatseng/ Mauersnek/ Platberg and are provided with Taxi money after support group to return home. Children support one another and different life skills such as health education and coping skills. Paediatric group to improve communication and contact between patients and staff of LH. OVC meet every Monday afternoon at LH in a non-threatening environment. It’s a closed group that runs for three months at a time. OVC’s with similar life circumstances have the opportunity to support one another and learn from each other. Group members are collected from township and receive taxi money after support group to go home. Support group addresses HIV/Aids myths, stigma and they learn from one another. Activities such as life skills, budgeting, self-esteem, and health education. Members are prepared to exit the program and the way forward is discussed. Provide Day Care Centre (Early Childhood Development) facilities to 19 pre-school OVC’s affected and some infected by terminal illness. DCC open Monday, Wednesday, Thursday and Friday. Health and development of children are monitored by Nurse and Social Worker. Psycho-social interventions take place when needed. Children received two nutritious meals a day. Children are collected and returned to central points by LH bus. Weekly newsletters handed out to parents informing them on the educational program for the week. To maintain and improve effective monitoring, evaluation, reporting and information systems for the provision of evidence based data for service delivery. To provide and encourage co-operation and networking of all stakeholders within our community. Ladybrand Hospice would like to thank all our corporate funders, donors, the wider Ladybrand community and all the many friends of Hospice for their valuable and continued assistance. The National Lottery, Department of Social Development, and the Martin Hughes Fund, are some of our main funders and have been supporting us with operational and programme costs for over 10 years. We strive to serve our community and aim to maintain the highest standard of specialised care to those in need of Hospice care. Ladybrand Hospice is a registered NPO (029/580) organisation and it is only through the generosity of the general public, companies and other organisations that we are able to continue to offer our services free of charge to terminally/chronically ill patients in the Ladybrand area. Our income generating projects have included in the past, our woodworking and quilting groups, as well as our Beads of Hope projects. At present we are in the planning stages of creating a new income generation project and will keep you posted. Ladybrand Hospice is a registered PBO (Public Benefit Organisation) as well as a Section 18A (Tax exemption) organisation and is therefore registered and approved with the South African Revenue Service (SARS). A donation in cash or of new goods made in kind to a section 18A approved organisation is entitled to a deduction from his or her taxable income if the donation is supported by the necessary receipt issued by the organisation. Furthermore in terms of BEE legislation donations made to previously disadvantaged individuals (PDI’s) count toward the calculation of a Company’s BEE rating. All donations received by Ladybrand Hospice under our 18A registration are used to support our patients and provide home based care. Ladybrand Hospice provides quality palliative and home based care to all people in our community who suffer from life threatening and life limiting illnesses irrespective of their ability to pay. We promote quality in life, dignity in death and support in bereavement.